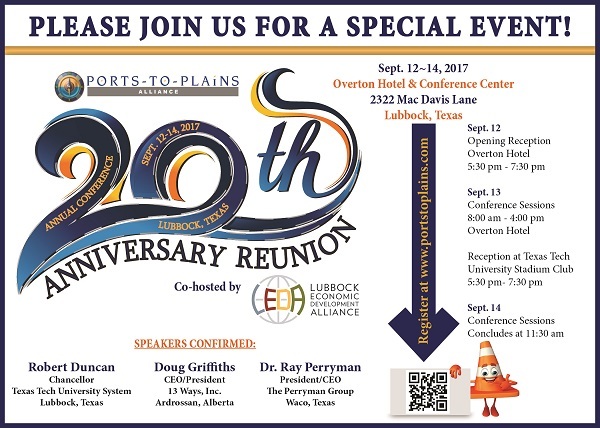 As we turn the calendar to a new month today, I am reminded that the end of summer is approaching quickly, and the Ports to Plains Annual Conference is just around the corner. We are working hard over the next six weeks to provide you with another fantastic event as we celebrate our 20th Annual Conference. 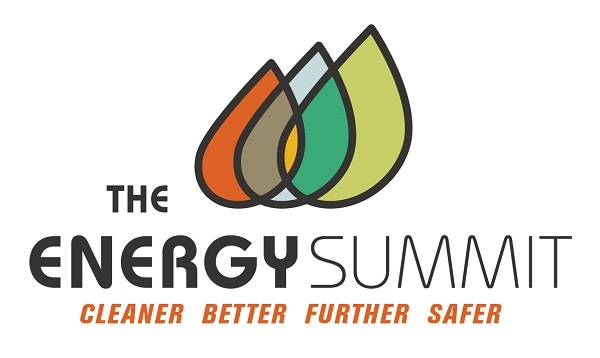 We will have a lineup of great speakers that will inform you about the key issues impacting our region. As this is our 20th Annual Conference, we will celebrate this milestone by reflecting on our beginning with key PTP founders Randy Neugebauer, Robert Duncan and Tommy Gonzalez. And of course one of the most valuable components of the conference is the opportunity to network with fellow community leaders from throughout the Ports to Plains region. Full details, including registration, sponsorship and hotel accommodations are included below. Make plans now to attend and be a part of this great celebration. Register for our Annual Conference & 20th Anniversary Celebration! The proposed extension of Interstate 27 will also serve the agriculture industry including many of Texas top counties for the production of cotton, cattle, sheep and goats and other commodities. 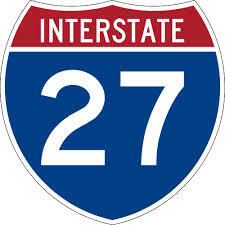 Has your organization considered the resolution supporting the Extension of Interstate 27? Have you individually added your name supporting the Resolution? Please share with your Texas Friends! September 12-14, 2017 -- Lubbock, TX! Americans Say They Back Higher Gas Tax to Fix Crumbling Roads Congress hasn’t raised the federal gas tax since 1993 when Bill Clinton was president, but a narrow majority of Americans would support an increase to help fix crumbling roads and bridges in their own states. Americans are tired of the condition of their roads and interstate highways and the 56,000 structurally deficient bridges nationwide, said Ray LaHood, a Republican and former U.S. transportation secretary under President Barack Obama who supports raising the gas tax. President Donald Trump has promised a plan to invest $1 trillion over 10 years upgrading deteriorating roads, bridges, airports and other assets. The White House said that while no decision has been made about raising the federal gas tax to help pay for the improvements, all options are on the table. White House and congressional leaders officially acknowledged Thursday that a controversial tax on imports would be dropped from tax reform, but otherwise provided no new details on a broader plan they expect to start moving through Congress in the fall. The import tax, called border adjustability, was pushed by House Speaker Paul Ryan as a way to fund tax cuts, but it prompted a fierce backlash from retailers, other import-dependent industries and conservative activists. With that tax off the table, Congress, the White House and advocacy groups hope to present a more united front on tax reform, though other disagreements will surely flare as lawmakers work on a replacement. 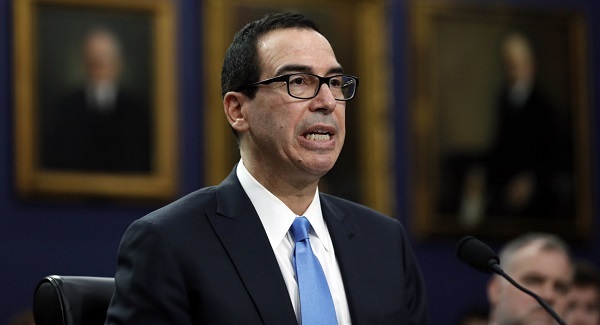 In a statement that was otherwise largely symbolic, the "Big Six" tax reform negotiators vowed to reduce tax rates, simplify the tax code and improve U.S. economic growth by changing tax laws. The declaration — from Ryan, House Ways and Means Chairman Kevin Brady, Treasury Secretary Steven Mnuchin, Senate Majority Leader Mitch McConnell, Senate Finance Chairman Orrin Hatch, and National Economic Council Director Gary Cohn — on border adjustability confirmed what was widely anticipated for months. In the final week of the 2017 regular session of the Texas Legislature lawmakers approved a budget that keeps the highway funding promises made to voters in recent years. The result is that funds dedicated by voters in the passage of Proposition 1 in 2014 and Proposition 7 in 2015 will be available to pay for new highway construction and to pay down highway construction debt previously authorized by voters. Additionally, lawmakers continued the decision made in 2015 to end diversions from the State Highway Fund which previously went to pay for operations of the Department of Public Safety. 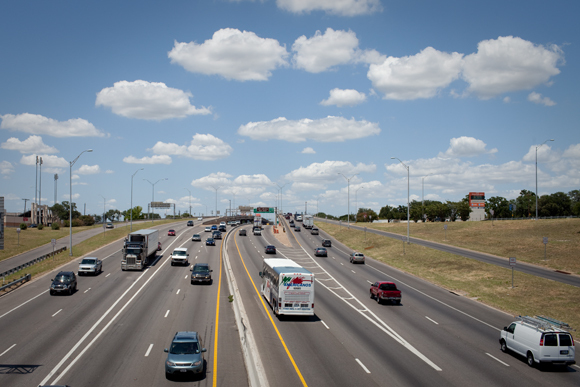 During the next two years (FY 2018 and FY 2019) TxDOT is projecting that it will be able to invest approximately $2.5 billion a year in highway projects aimed at system upgrades, congestion relief, rural connectivity and safety. Based on current estimates, Proposition 1 will generate $739 million in FY 2018 and $563 million in FY 2019 for the State Highway Fund. From Proposition 7 lawmakers allocated $2.2 billion in FY 2018 and $2.5 billion in FY 2019 with $306 million a year going to pay off voter-approved general obligation debt issued in the past to build highway projects (Prop 12). Texas is one of only seven states that have not increased gasoline and diesel tax levels in the past 25 years. 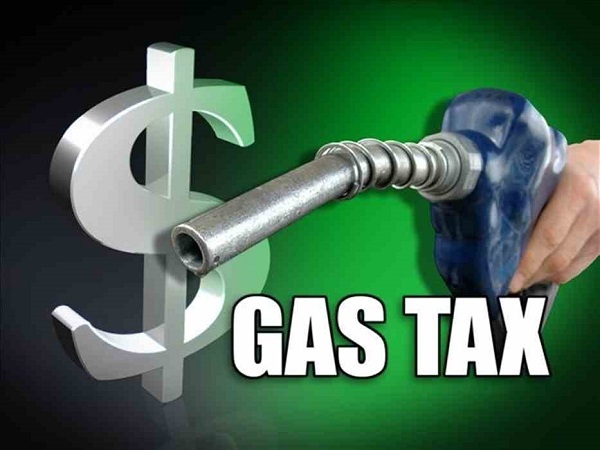 The state’s 20 cent tax per gallon on gasoline and diesel has remained the same since 1991. With highway construction cost rising every year and greater vehicle fuel efficiency depressing fuel tax revenues, states from coast to coast have reluctantly taken steps to deal with transportation funding shortfalls. In the past year Indiana, Montana, New Jersey, South Carolina, Tennessee, West Virginia and California have all approved rate increases. For more than a decade Rep. Joe Pickett, past chairman and dean of the Texas House Transportation Committee, has been making the point that Texas needs to deal with the long decline in the buying power of the fuels tax. Chairman Pickett and others including members of the Texas Transportation Commission have continued to make the point that even with dedicated funding from Proposition 1 and Proposition 7 more money is needed to keep up with growth and to address the state's biggest highway and bridge projects. 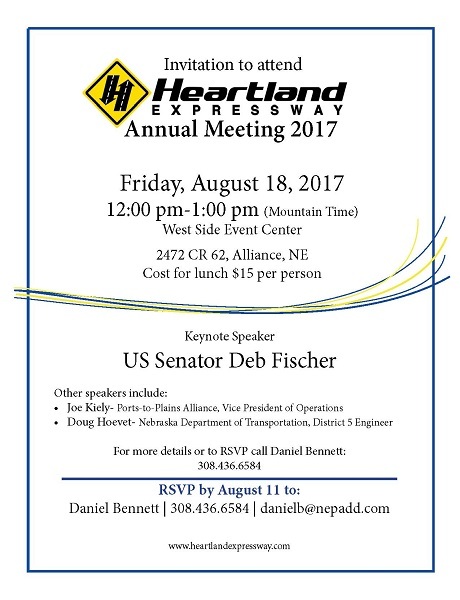 You’re invited to attend the Heartland Expressway Association’s Annual Meeting in Alliance, NE Friday, August 18, 2017 at Noon. We’re excited to have Nebraska US Senator Deb Fischer on hand to deliver the keynote address. Senator Fischer serves as the chairman of Senate Commerce Subcommittee on Surface Transportation and has been a champion of innovative, long-term solutions for highway infrastructure funding. Please RSVP by August 11th to Daniel Bennett at danielb@nepadd.com or 308-436-6584 and feel free to forward the invitation to others. Thank you for your time and we hope to see you in Alliance on August 18th!